“For You and Your Friend” Valentine’s Day Giveaway! Since Valentine’s Day is just a couple of weeks away and since we all love to give gifts to those we love, how about a giveaway with double the prize—one gift for you and another to give to a friend! Always fun to surprise someone with a little unexpected treat, isn’t it? To enter the giveaway, just leave a comment on this post by 6 p.m. Wednesday, February 12th. If I don’t know you personally or cannot contact you via your website or blog, be sure to include your email address (such as cheryl at cherylbarker dot net). It’s not required for the giveaway, but to make it more fun, pop over to Nancy’s shop on Etsy, take a look at the different varieties of soap she offers, and then tell me in your comment which one sounds the most intriguing to you. In future giveaways, I’ll continue to feature and give away some of the fantastic products that some of my very own readers offer. Nancy only recently started Beigetone Soaps so I’m delighted to share the news of her new business with all of you. Be sure to like her Beigetone Soaps Facebook page so you can keep up with the new products she releases as well as special promotions. 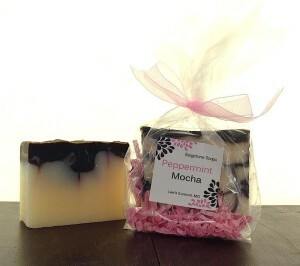 By the way, the soap is creamy, luscious, and lasts a long time! God has gifted all of us in amazing ways. Can’t wait to feature more of you in the years ahead! Mother of the Bride, set your DVR to record Katie on Wednesdays in February. She announced on her January 16 show “Katie Gets Wedding Fever” that they will be doing a special series of wedding shows in February called Wedding Wednesdays. Wedding Wednesdays are sure to include lots of ideas, tips, and advice. And how great will it be to get some of your wedding help via a fun avenue like Katie’s show? What makes it extra interesting is that Katie herself is a bride-to-be right now. Not only will that make it lots of fun, but I bet it will be super helpful since we’ll be hearing from someone currently in the wedding planning trenches. Maybe you can even plan to watch the shows with your daughter, MOB. Have some snacks on hand and be ready to jot down the ideas that catch your attention. Afterwards, you and your sweet girl can compare notes and brainstorm all things bridal. Sounds like fun to me—enjoy! *Where are you and your daughter finding some of your favorite ideas? *The next issue of Life Notes, my quarterly inspirational newsletter, will come out in next week. Sign-up is free and to the right! *Hop over to my home page and enter the “For You and Your Friend” Valentine’s Day Giveaway! Let’s just say it—cake is popular. And at a wedding reception, Mother of the Bride, it’s especially popular. Whether it’s the main wedding cake or the groom’s cake, everyone’s interested in the sweet treat that will delight their taste buds before they take their leave. Even though the wedding cake naturally takes center stage, the groom’s cake often inspires just as much—if not more—interest. Everyone either wants to see what aspect of his life the groom has chosen to highlight or they’re dying to know what extra yumminess awaits beyond the more traditional wedding cake. Did the groom choose a delicious carrot cake or will the coveted slice of groom’s cake involve some sort of chocolate decadence? If your daughter’s groom is unsure of a design for his cake, why not suggest he fly the colors of his alma mater? Showing some university pride never goes out of style. Shawn, our oldest daughter’s beloved, chose to use one of his university’s logos (pictured above). Since he and Kristin both graduated from the University of Tulsa, it was a theme dear to many hearts represented at their wedding. Chocolate is also dear to many of our hearts, and Shawn—and the wedding cake baker—did not disappoint on that level. 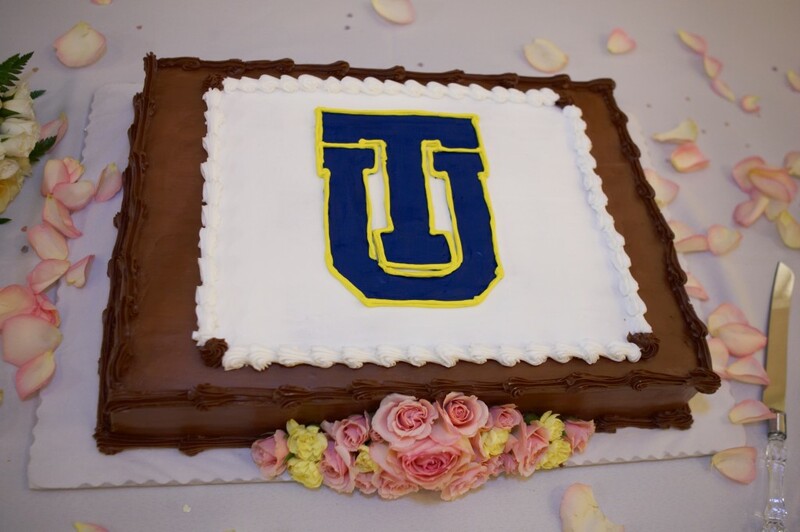 His TU cake still remains one of the best groom’s cakes I’ve ever tasted. Thanks to Emeline Bauder of Grandeur Affaires for that! So if your future son-in-law is looking for an idea, show him the photo above. And don’t forget to suggest plenty of chocolate, too! *What are some other ways an alma mater could be highlighted on a groom’s cake? *For more groom’s cake ideas, see my Groom’s Cake Idea: Law Books post and also my Groom’s Cake Pinterest page. Anyone in need of a reminder today to focus on the positive? It’s not a new message by any means, but it’s one I need to hear from time to time. Maybe you do, too. And there may be some who especially need this kind of encouragement during dreary winter days. It’s so easy to notice the negatives in our lives—the things we’re dissatisfied with or wish were different. In fact, it’s only natural since these things have a way of popping up frequently. Dissatisfaction or unhappiness can start with something as subtle as a look in the mirror. We don’t like a certain feature of our faces or bodies so that’s all we focus on when we look at ourselves. Or it might be something deeper. We may hate our tendency to lose our tempers or become prideful or . . . you fill in the blank. And even though, yes, we need to work on conquering certain weaknesses or sins, it’s not good for us to see only our deficiencies. Other areas where we may fall into the trap of focusing on the negative might include difficult or challenging relationships, the places where we live or work, our children’s schools or teachers, or even our churches. In fact, we can fall prey to this unhealthy thinking in just about any area of our lives. Since dwelling on the unpleasant aspects of a person or situation reinforces our negative feelings and makes the problems seem even bigger, the healthier way to deal with such situations is to instead take note of the positives and then focus on those. Even with the hardest cases, we can usually find some good points to keep uppermost in mind. As we focus on the positive, we’ll feel happier and more content. Gratitude will grow. Some difficult people or situations might even change as they respond to our more positive approaches. But even if they don’t, we’ll experience more peace within ourselves. Let’s determine to take a fresh look at our homes, our marriages, our communities, and the winter season if we’re struggling on that front, or any of the things or people in our lives that seem to be full of negatives. Let’s focus on the positives. Let’s allow an old message to breath new life into us today. 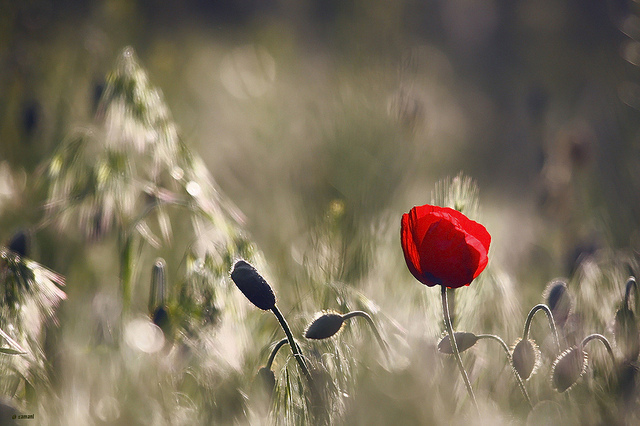 *When has focusing on the positive made a difference for you? Mother of the Bride, one of the quickest ways to dress up a centerpiece or take it to a whole new level is to set it on a mirror. That’s right, build on a mirror, and you’ll double the size and beauty of whatever centerpiece idea your bride-to-be daughter has chosen. 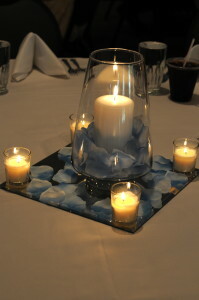 Using a mirror is especially effective if candles are part of the centerpiece. Candlelight adds beauty wherever it’s used, but reflect it in a mirror and you create magic. Flower petals scattered around the centerpiece also add delight as well as depth. The mirror multiplies the scattered petals into a host of curves and color. Brainstorm these and other ideas with your daughter—let your creativity and imagination run wild. Start with the magic of a mirror and go from there. A beautiful centerpiece is just around the corner! *What other centerpiece idea would work well on a mirror?